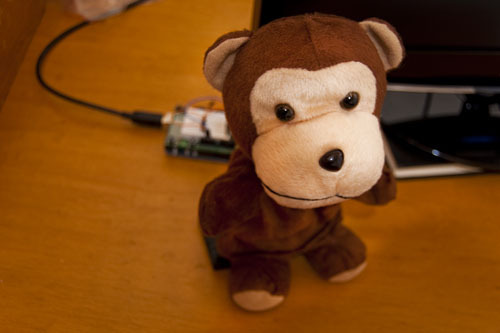 Twitter Monkey was made possible with materials from Adafruit Industries and the local Dollar Tree. The code is heavily based on Alertuino code from MCQN Ltd., creator of the Bubblino. Update: There’s also a video.